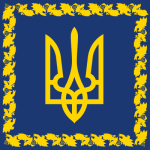 The government of Ukraine is often associated with the Cabinet of Ministers of Ukraine. However it should be considered that Ukraine is a country under a semi-presidential system with separate legislative, executive, and judicial branches of government. And like a lot of European countries with the semi-presidential system a head of state, the President of Ukraine, has a great influence on the executive branch of the government. The highest government body of the executive branch is the Cabinet of Ministers of Ukraine not the president. 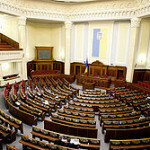 The legislative branch is represented by a unicameral parliament, Verkhovna Rada, consisting of 450 People’s Deputies (members of parliament). The judicial branch is very complex and has two independent court systems such as constitutional, the Constitutional Court of Ukraine, and general, the Supreme Court of Ukraine. According to the constitution the President of Ukraine is the head of state. The current president of Ukraine is Petro Poroshenko (since May 25, 2014). The president guarantees the state sovereignty, territorial indivisibility, the observance of the Constitution as well as human and citizens’ rights and freedoms. President is elected by popular vote for a five-year term. The last presidential elections were held in May 2014 (See: Ukrainian presidential election, 2014). The elections of the president are held on the last Sunday of October of the fifth year of the term of authority or in special circumstances within ninety (90) days from the day of termination of the authority. During the Constitutional reform in Ukraine in 2004 the Presidential authority became substantially reduced, however the reforms of 2004 were reverted by the Constitutional Court of Ukraine in 2010. Verkhovna Rada, a unicameral parliament (450 seats) amends the Constitution of Ukraine, drafts laws, ratifies international treaties, appoints a number of officials, and elects judges. Elections were last held on October 28, 2012. (See Ukrainian parliamentary election, 2012). The Verkhovna Rada is the sole body of legislative power in Ukraine. The parliament determines the principles of domestic and foreign policy, introduces amendments to the Constitution of Ukraine, adopts laws, approves the state budget, designates elections of thePresident of Ukraine, impeaches the president, declares war and peace, appoints the Prime Minister of Ukraine, appoints or approves appointment of certain officials, appoints one-third of the Constitutional Court of Ukraine, elects judges for permanent terms, ratifies and denounces international treaties, and exercises certain control functions.